Cardiff has a history dating back 2000 years and is yet poised to take in the new challenges of the coming years. Cardiff became the capital of Wales in 1955 and is a popular destination for its many attractions and diverse nightlife. You can avail Cardiff tourist information at the tourist information centre located in many parts of the city alongside many attractions. Cardiff tourist information centre provides you with all information regarding the city, from accommodation booking service to local UK guidebooks and maps on for sale. The Cardiff tourist information also lists the city events and festivals for the benefit of the tourists visiting the city. Cardiff will be celebrating its centenary year as a city on the dawn of 2005. The year is marked with celebrations and the Cardiff Tourist board (Wales' tourist board) and other agencies are offering discounts and offers to visitors. The Arriva Trains Wales/ Trenau Arriva Cymru has teamed up with some of the city's top attractions, best restaurants, leading retailers and entertainment centres to give you the great possible start to your visit. They have declared wide range of generous discounts exclusively to those visitors who arrive by train from early November until the end of February 2005. The celebration is completely geared up with the opening of the Millennium Stadium and the regeneration of the Cardiff Bay area. The city of Cardiff has many a tourist attraction. 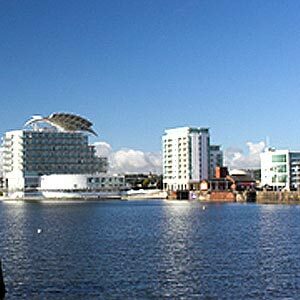 However, the Cardiff bay area is probably the most prominent, especially after the opening of the Millennium centre. The city is a rich blend of ancient and modern structure with fine Victorian and Edwardian architecture being complemented by some of the most innovative new developments. Tourist attractions in Cardiff include the historic Cathedral, Castle, the newly regenerated Cardiff Bay and a number of museums and galleries. Apart from entertainment, Cardiff seems to be a major spot for world class sporting events especially with great venues like the Millennium stadium. Rugby, Football, Cricket, Tennis and Golf are all well represented in the city. There are leisure Centres, facilities for adventure sports, pony trekking as well as walking and cycling.